Mother Nature generously contributed to our 75th anniversary celebration. We received over 53 centimeters of snow between January 23rd and 30th, and the day began with a clear blue sky. The surface was really good for carving and it was the perfect start to a beautiful day. As if Mother Nature wanted to encourage more partying, she sent another snowfall and more than 10 centimeters were added to the trails during the following days. We wish it would have lasted but Mother Nature had other plans. On February 21, an abundant rain covered the region, a clear message that Mother Nature wanted us to focus our attention on the Canada-USA Olympic game. Despite the downpour, more than 500 skiers and snowboarders braved the weather and attacked the trails. Unfortunately, our terrain had been seriously affected by rain and large icebreaking operations had to be performed. Rain is harmful to ski slopes, but ice provides protection against water damage. Once a thin layer of ice forms on top, water trickles away thus saving the precious snow. Our grooming team concerted their efforts to salvage the trails. In-depth work was done this week and only natural snow trails remain closed. We are confident that most of our ski area will be opened for the weekend of March 1st and 2nd. 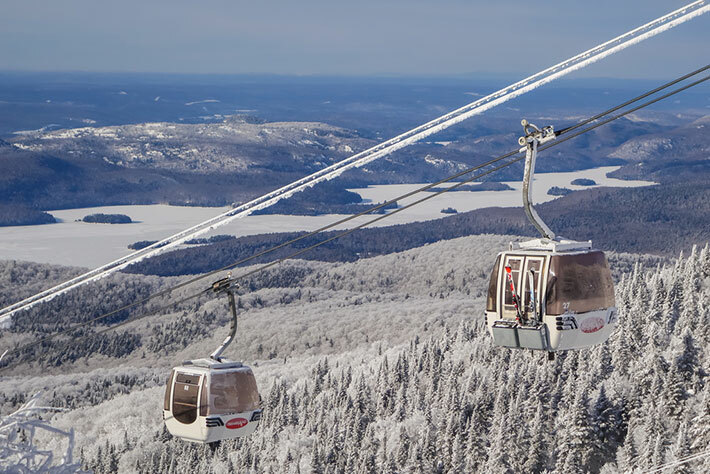 We look forward to seeing you again this week at Tremblant. And don’t forget, the lifts are now open until 4:00 p.m. every day.